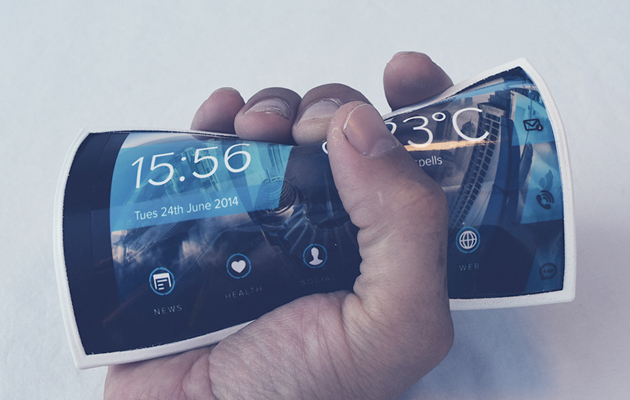 Is this wrist-worn smartphone on Indiegogo a hoax or a fever dream? One downside of Indiegogo's lax attitude to projects is that there's no requirement for a prototype or any proof that the device being pitched could even exist. In fact, the site is so laissez-faire, that a creator could probably promise a hoverboard powered by unicorn tears, and the only limit to its success would be human credulity. In unrelated news, Arubixs has taken to Indiegogo to ask for $300,000 of funding for Portal, a flexible, bendable smartphone that can be worn on your forearm like Leela's Wristlojackimator - with a watch strap holding it in place at either end. The company's reluctant to talk about specifications, saying that its suppliers have wrapped it up in "more legal documents than you can imagine," and accusing the "big guys" of printing money to put small companies down. What it will claim, however, is that he Portal will be just 4.8mm thick, 0.7mm thinner than the Gionnee Elife S5.5, a device with huge battery life and heat dissipation issues thanks to its small size. Arubixs also won't be drawn on what CPU the Portal will come with, but will claim that it'll be paired with 2GB RAM, 64GB storage and a quartet of cameras (with at least one 8-megapixel lens). 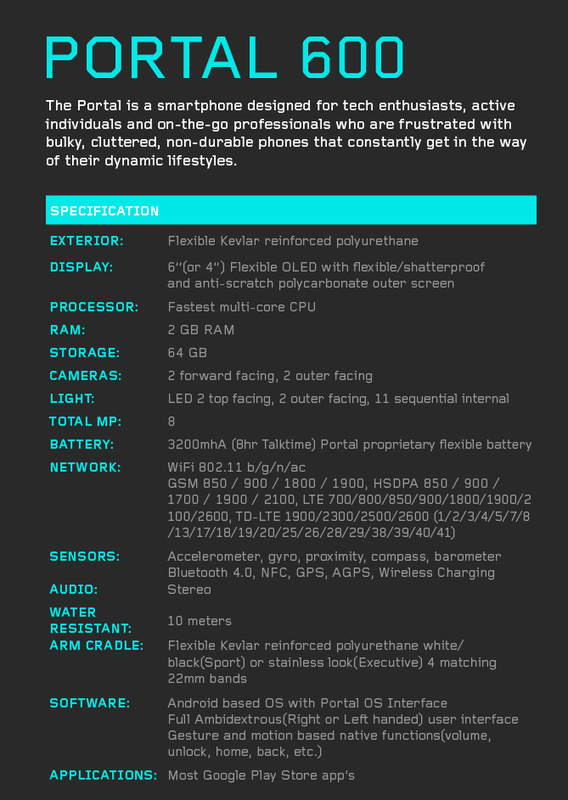 We're also told that the device will come with a staggering 3,200mAh battery that uses "proprietary flexible battery" technology that's probably not fictional, at all. Oh, and it's water resistant to 10 meters. By comparison, the Samsung Galaxy S5 Active and CAT's S50, two real rugged phones that actually exist, will only survive depths of up to one meter. We don't want to be cynical, here, and nothing would be better than if this company can achieve something that'd put Samsung and LG's engineers to shame. That said, there's nothing in the company's executive biographies that makes us think that it's a possibility. For instance, CEO Brandon Mairs has some expertise in composite materials after running a firm that made carbon fiber auto parts for sports cars. Engineering VP Adam Eastman, meanwhile, is still taking his Bachelor of Science degree at UC Berkeley, and while he may be a materials genius, there's nothing in his record to suggest he's developed the next big leap in flexible technology. Still, if you want to take a gamble on this device, we won't stop you, and Arubixs wants $400 of your hard-earned for a finished Portal Sport with an arm cradle and wireless charger. Update: As pointed out by commenter EvilGardenGnome, the Indiegogo page has mysteriously disappeared. We've reached out to the site to find out more and will let you know what we learn. Update 2: The company has issued a statement contending that the Indiegogo page was taken down due to a DMCA request, which is here. The documents show that Christian Stroetmann had already conceived a wrist-worn flexible display, and says that two links (here and here) show his prior art. Given that the two pages are just a handful of old concept designs, it looks as if one fantasist has been taken down by another.